My family is a little disorganized when it comes to cooking. I envy the moms who are put together enough to plan out an entire week’s worth of dinners well in advance. “What’s for dinner?” is a question my husband, daughter, and I often ask because we have no idea what to make and I’m not creative enough to come up with new recipes on my own. I love looking at cook books and all the recipes they offer, but they make my head spin. So many ingredients, so many steps. Who has time for all of that? The CookingLight® Complete Meals in Minutes is an amazing cook book that is so well put together, easy to read, and organized to perfection so I don’t have to be. Thanks to the colored divider tabs, I can save time by quickly finding a recipe for whatever I’m in the mood to fix, whether it’s a chicken dish, pasta, salad, appetizer, or dessert. Best of all, the three-ring binder allows me to remove any page I want from the book so I don’t have to tote this heavy hardcover into the kitchen and risk spilling ingredients on the pages I’ve not yet used. The CookingLight® Complete Meals in Minutes is so much fun to flip through, and many of the recipes include beautiful pictures to give you an idea of what your finished product will look like. This book gave me the push I needed to attempt to put a meal plan together for my family. Unfortunately, my poor planning wasn’t as cost effective as my husband would have liked, so I’ve only been able to try one recipe so far since my friend and I had the ingredients on hand and were in the mood for a sweet treat. I think someone with better planning skills may have more luck in building a weekly menu including many of the recipes from this incredible cook book. 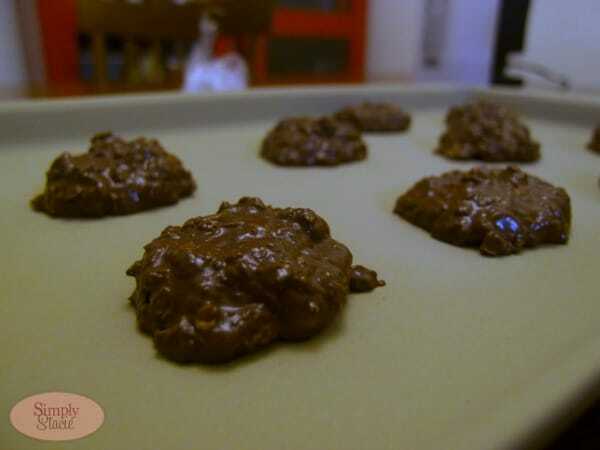 The recipe my friend and I chose to make is on page 476, and is for the Double Chocolate-Oatmeal Cookies. All of the ingredients involved are things most people may have in their kitchen as staples, perhaps with the exception of white chocolate. The steps to make the cookies are pretty standard, and anyone who has ever made cookies before will have no troubles following the simple recipe. 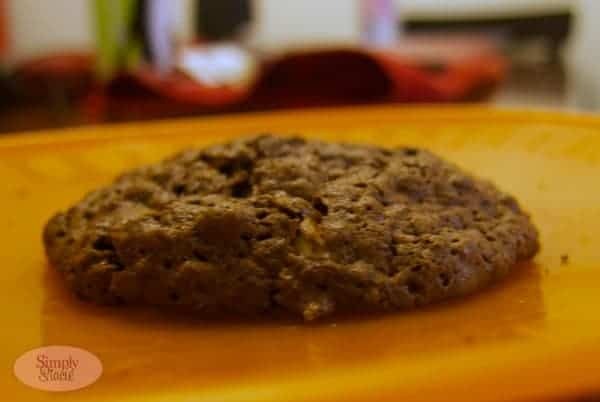 The only downside to this recipe is that it only makes about 10 cookies, which isn’t ideal if you are preparing something for a party or a bake sale. However, they tasted great, and it wouldn’t be all that difficult to double the recipe. Overall, I would recommend CookingLight® Complete Meals in Minutes. Most of the recipes take from 15-30 minutes to prepare, so your day won’t be entirely spent in the kitchen. I’m excited to try even more recipes from this book; I’m sure some of these have the potential to be new family favorites. The quicker and easier the better on those days when it is crazy here! This would be great to have for my busy schedule! That is my one pet peeve about healthy recipes….. they seem to use a ton different ingredients and some of them are not easily found around here. I like recipes with just a few ingredients and 30 minutes or less in the kitchen…..
Like the idea of quick, easy, and healthy. It is hard to find that, Especiallyin something your family will eat. These cookies look yummy! I too am unorganized when it comes to meal planning because when I actually plan out the meals, I wake up and decide I want something else. The cookie recipe you tried seems to be yummy and it just so happens my sister has the book you reviewed so I will definitely be borrowing it from time to time to spruce up my menu. Thanks Stacie. I too envy “those women” who seem to pull delicious and nutritious snacks and meals out of nowhere! I like the fast and easy nature of these recipes, myself. I am trying to do more cooking for the family these days and to have a good cookbook with light and tasty meals would be awesome. I like that the recipes are easy and quick to make because anything too complicated I get lost.